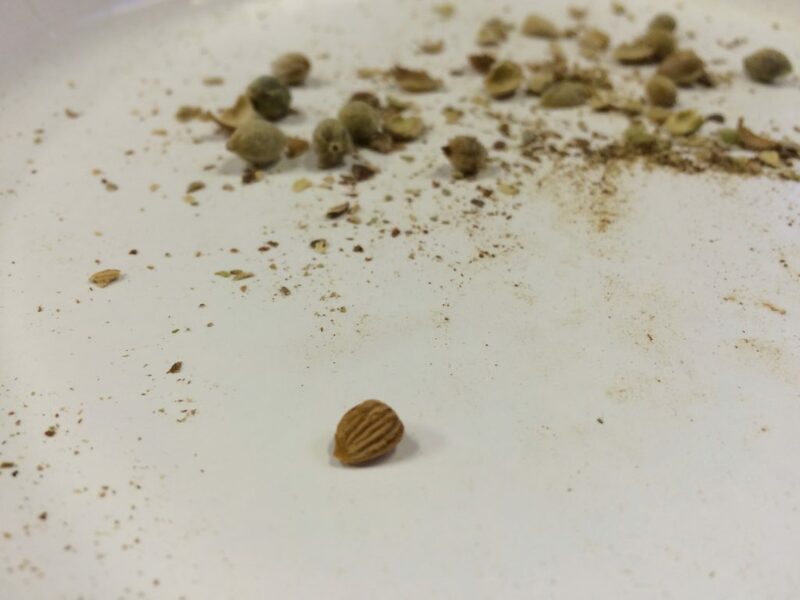 From one desert to the next. 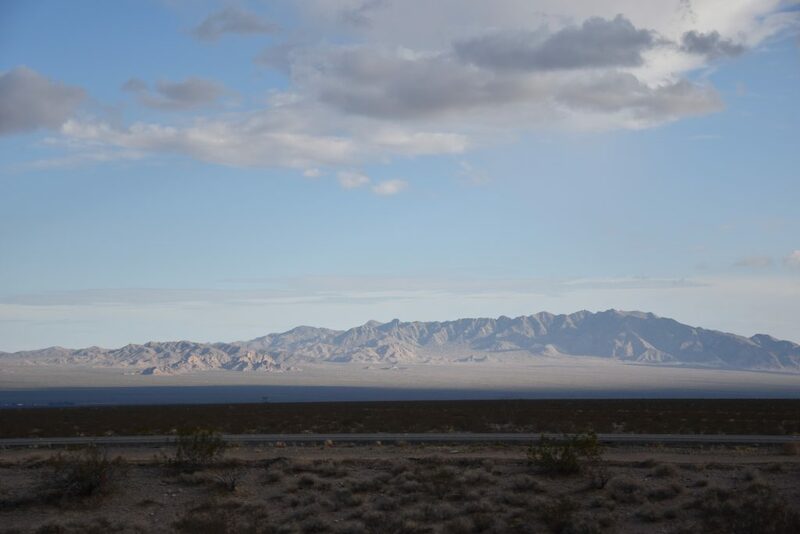 After leaving the Sonoran Desert we beelined for the Mojave Desert. 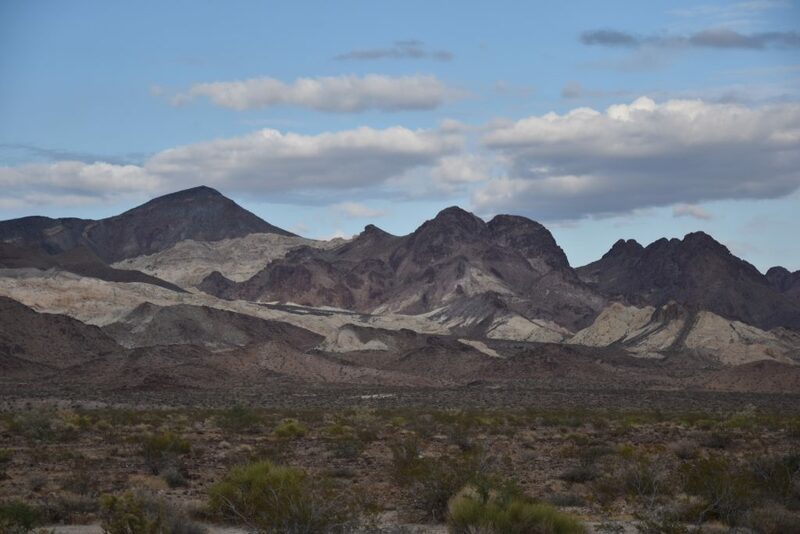 The Mojave Desert is an arid 25,000 square-mile area that is located in the transition between the hot Sonoran Desert and the Great Basin landscape. 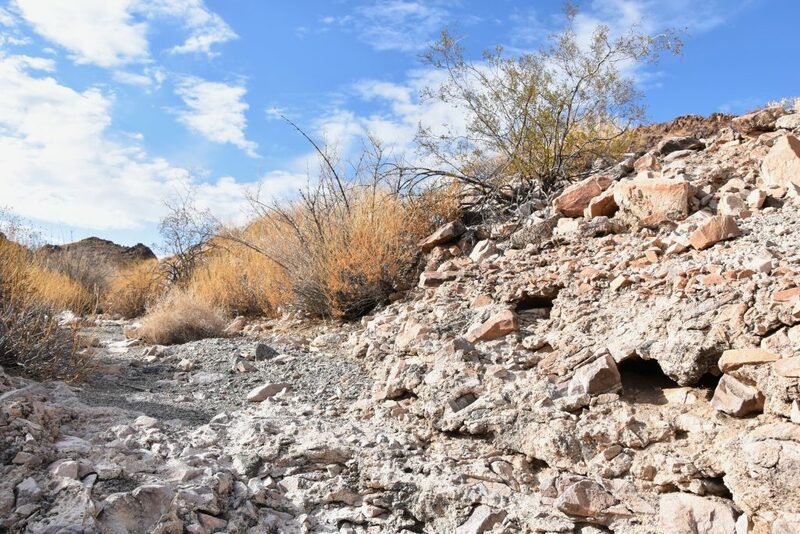 The Mojave Trails National Monument was part of a trio of public lands protected in 2016 and conserves 1.6 million acres of mountains, sand dunes and even a cinder cone. 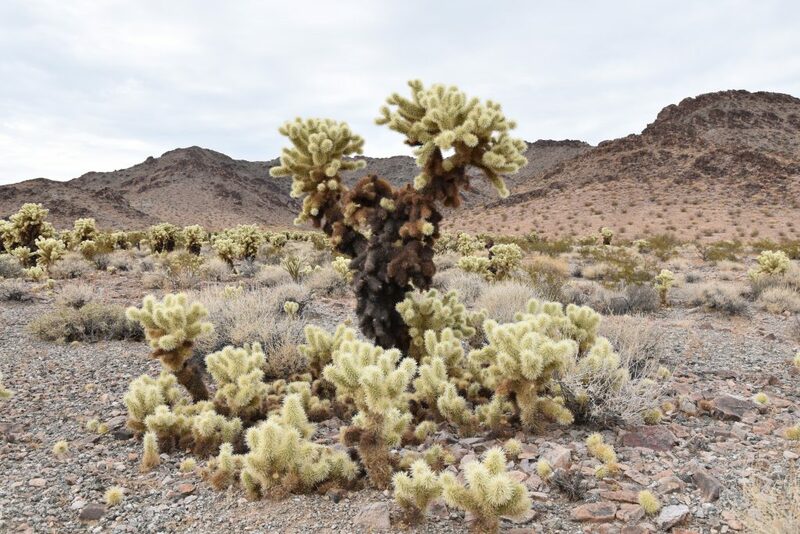 The Monument created a crucial land corridor, connecting two National Parks (Joshua Tree and Mojave Preserve) and thirteen wilderness areas! 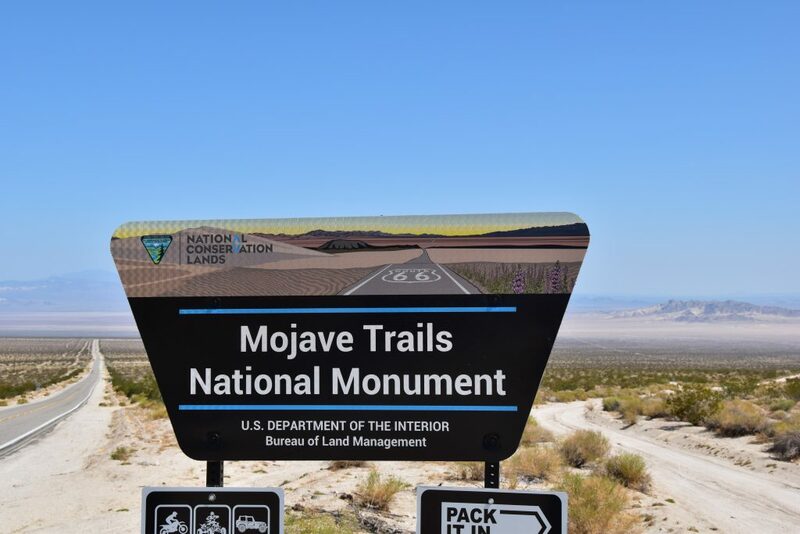 And with the designation of the Monument, the total connected area now comprises the largest protected desert-area in the United States. 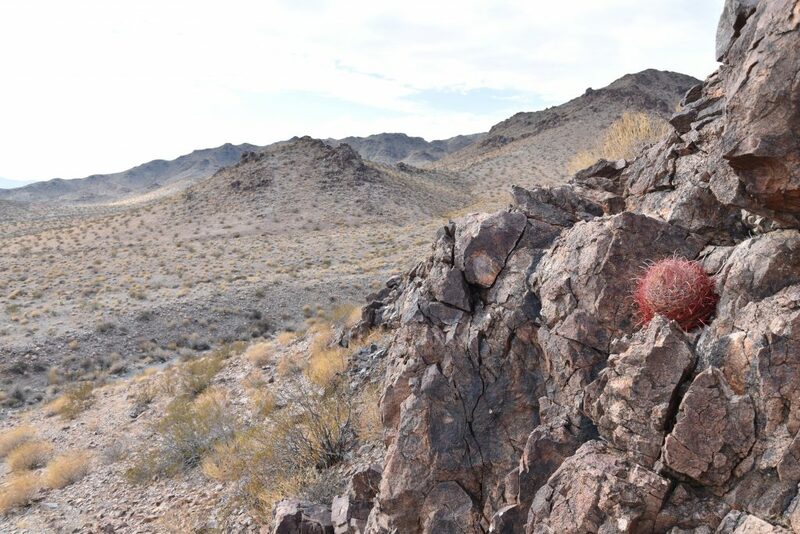 Our first stop in the Monument was the magnificent Bigelow Cholla Garden Wilderness. 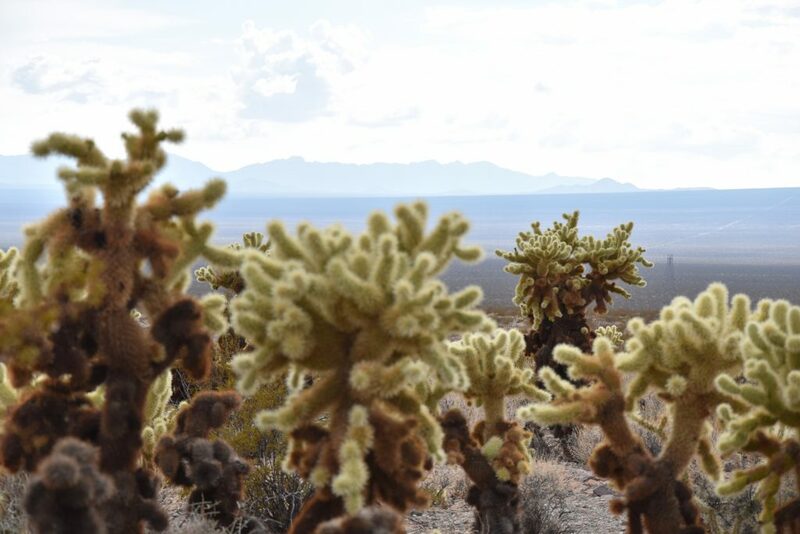 The area includes California’s densest stand of Bigelow Cholla. 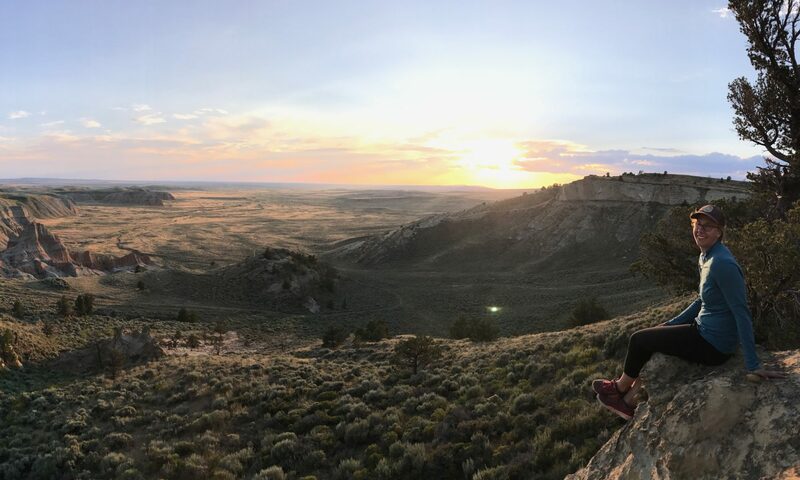 We weren’t sure what to expect, but what we saw did not disappoint. 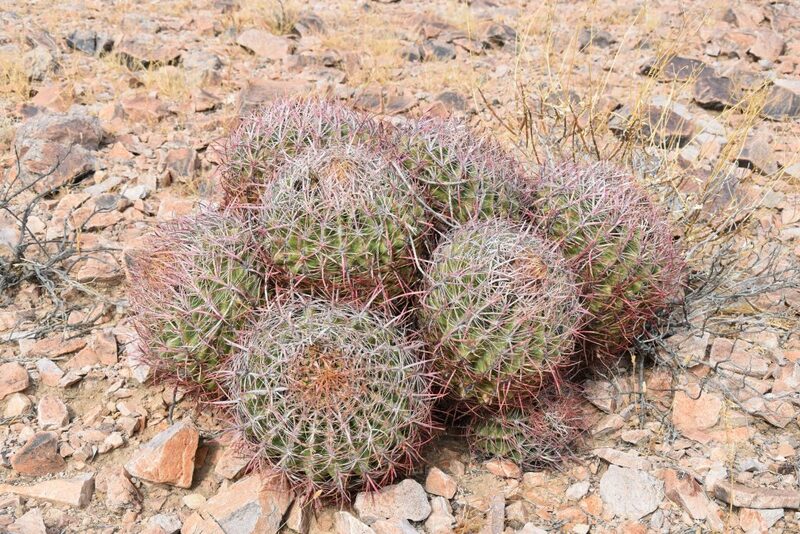 There were thick fields of the yellowish/green spikey cactus. 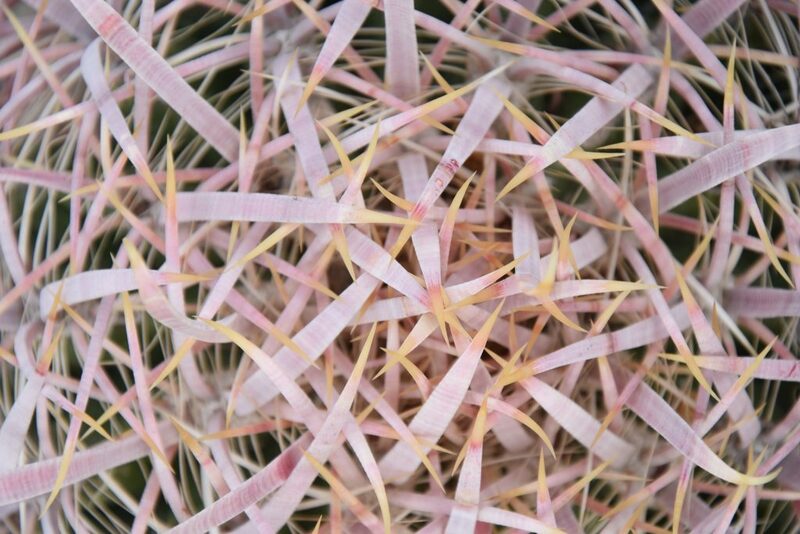 Walking through them is a trick; the little spikes are wicked if they jump onto you. From the cactus fields, we hustled to Amboy Crater to catch sunset. 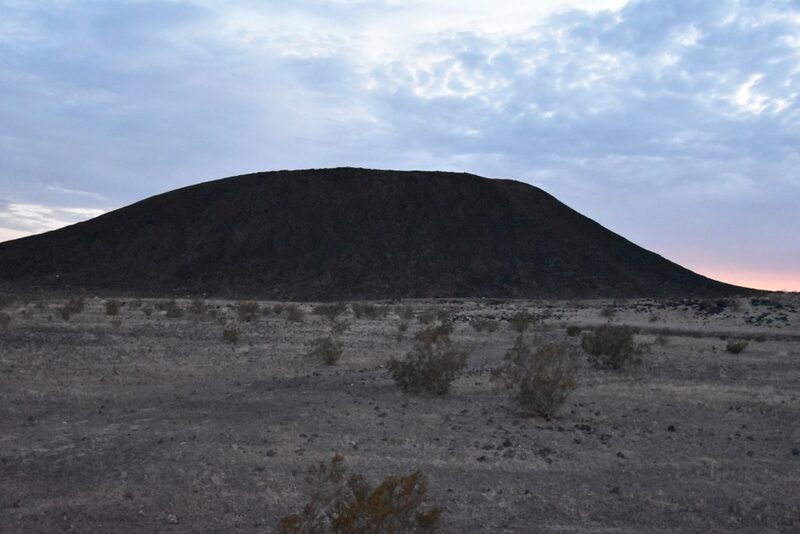 Amboy Crater is one of North America’s youngest volcano, and fun Wikipedia fact, the Crater was used in the 1959 movie Journey to the Center of the Earth and fires were set inside the crater to simulate a volcanic eruption. 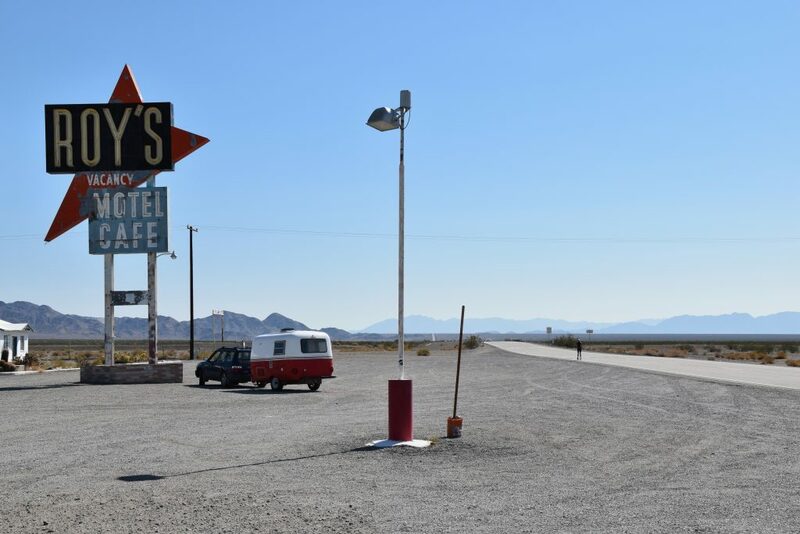 Along with the great natural features, the Monument is also home to the longest undeveloped stretch of Route 66. 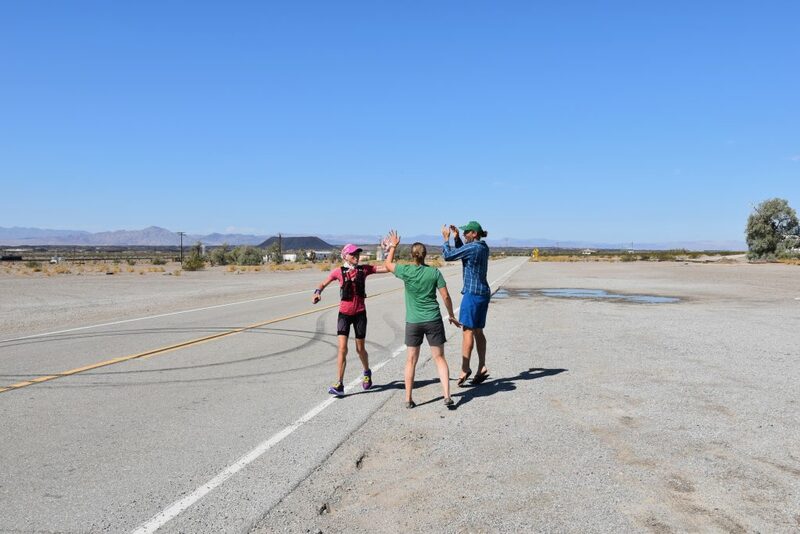 Along Route 66 we meet Mimi, a 53-year-old woman who was trying to break the time-record for running from LA to New York City. We gladly helped cheer her on. Go Mimi! 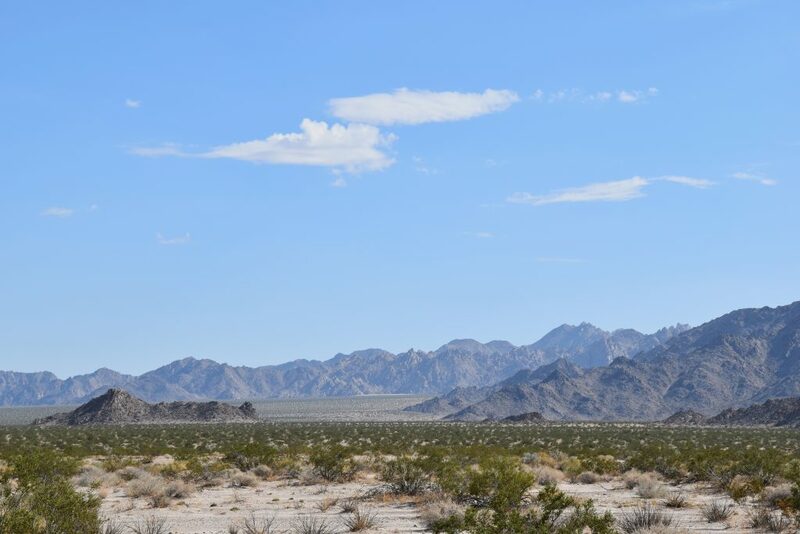 Our last stop was to visit the Cadiz Dunes Wilderness area. 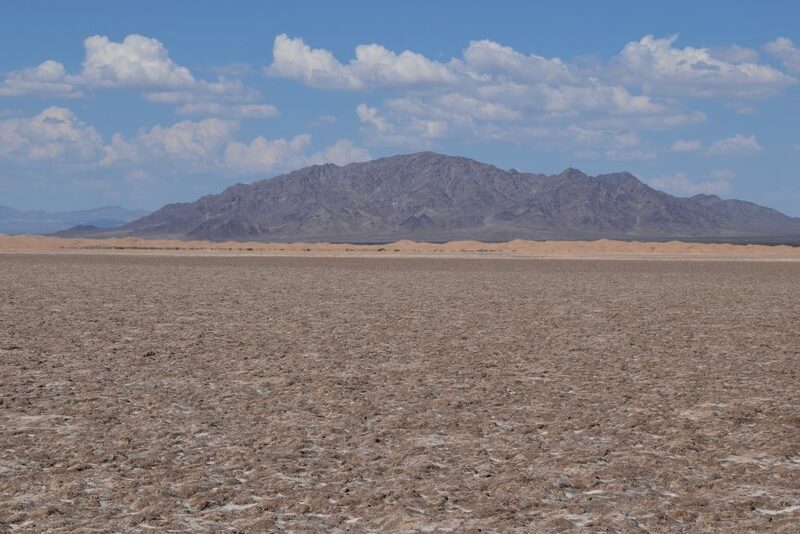 The dunes were formed by north winds pushing sands off a dry lake, and have been largely untouched due to the dune’s remote location. We can definitely attest to their remote location! After finding the main northern road closed, we tried to drive in from the south. 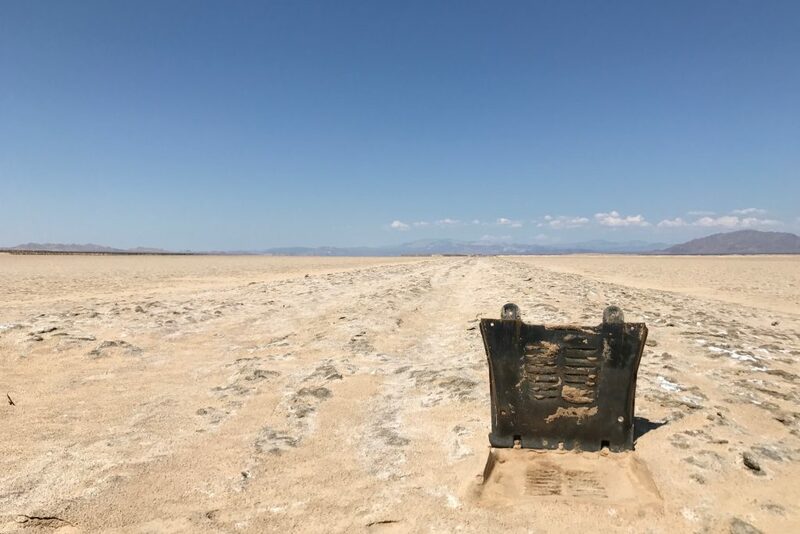 We got to the edge of a salt flat where the road ended, but remembering a sage warning about getting stuck in the desert, we decided not to push our Subaru’s limits and turned back. 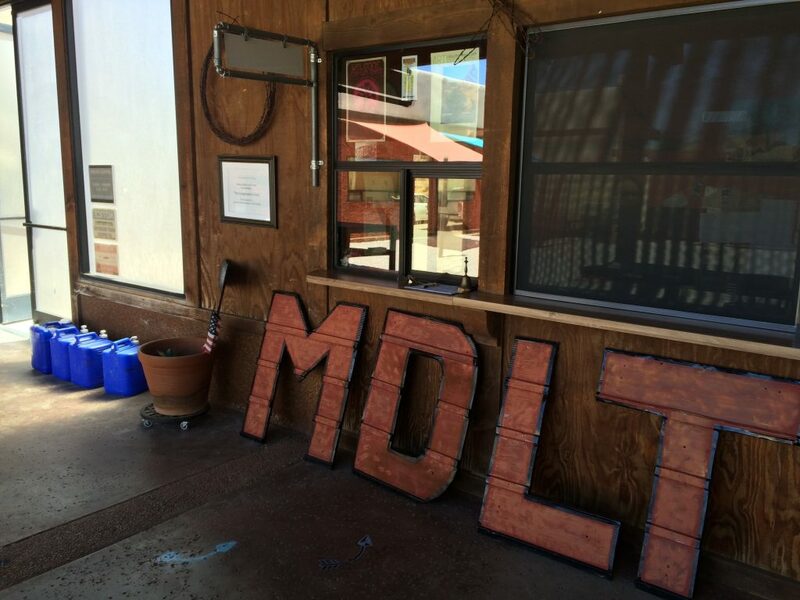 On our way out of the Monument, we made a stop to volunteer with the Mojave Desert Land Trust. 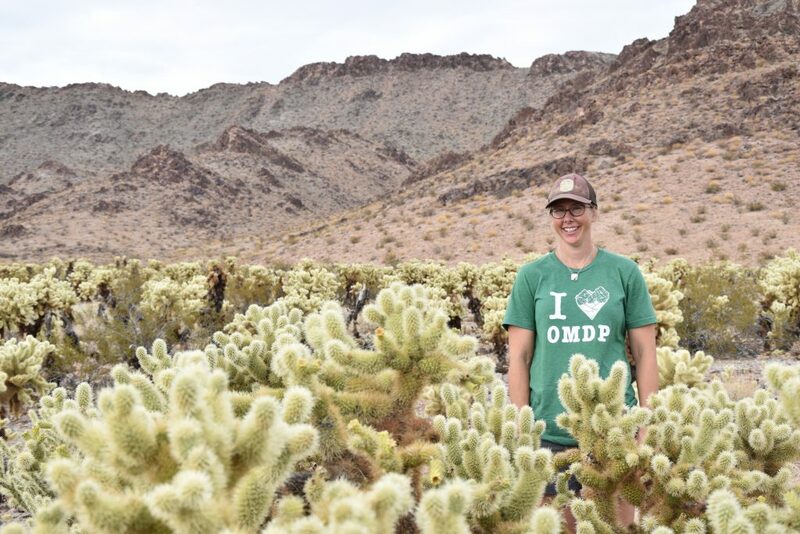 MDLT’s mission is to preserve the Mojave Desert landscape and the organization has protected 60,000 acres of prime desert habitat. 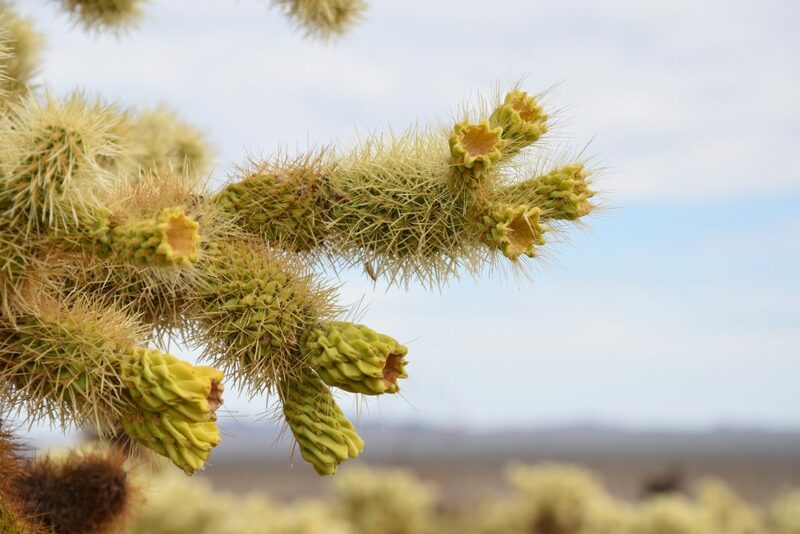 Along with their many other programs, MDLT also manages a nursery and seed bank which focuses on collecting and preserving native desert plants. 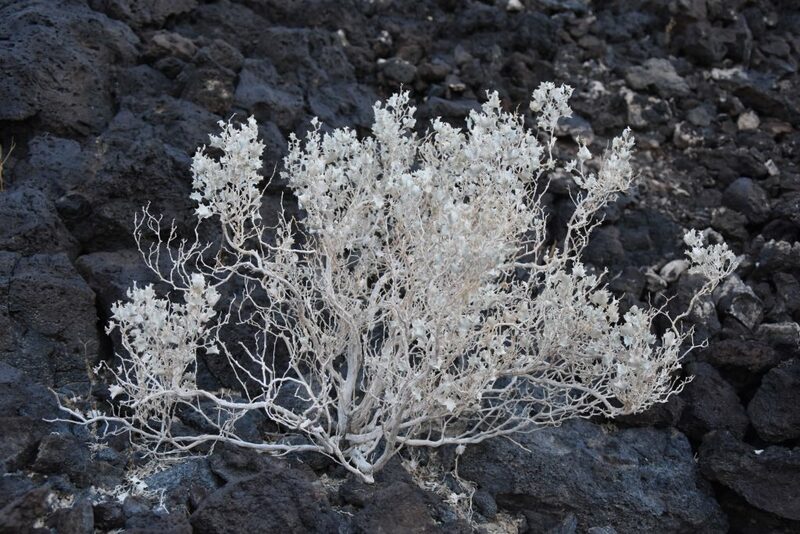 California’s desert is home to 30% of the California’s plant life (over 2,000 species). 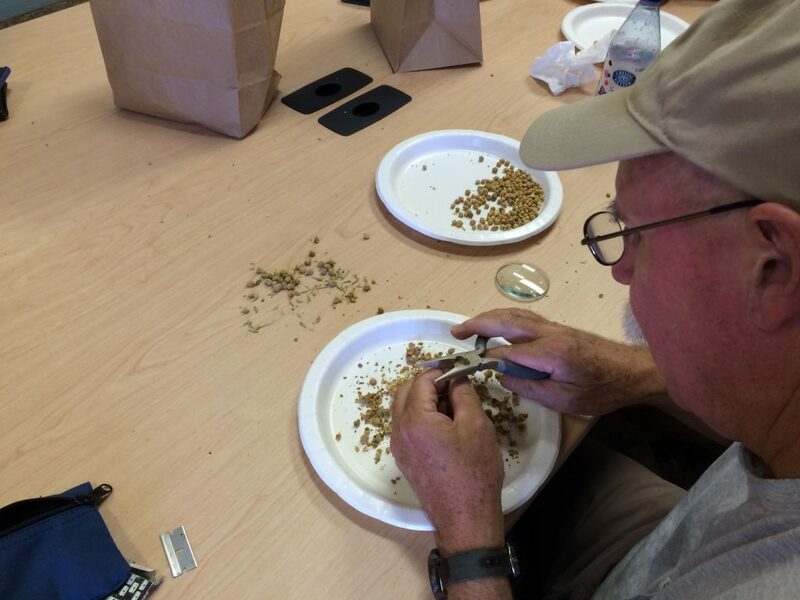 For our visit, we participated in seed cleaning, which, as it sounds, involves removing any husk or leaf matter from seeds. The process can be tedious but is very zen. Plus, it was great to spend three hours sitting around a table with fellow volunteers chatting. 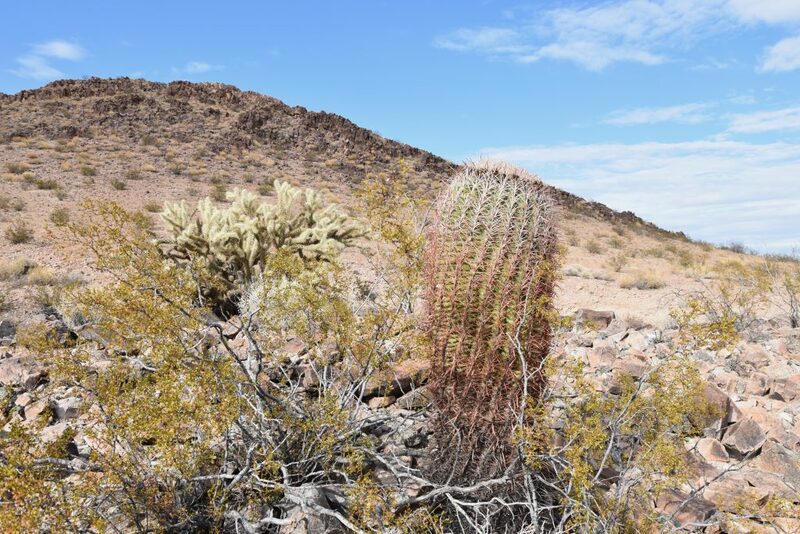 Be sure to check in with MDLT for great info about the desert Monuments. Plus, they have tons of events and volunteer opportunities if you want to get involved while you are in visiting. 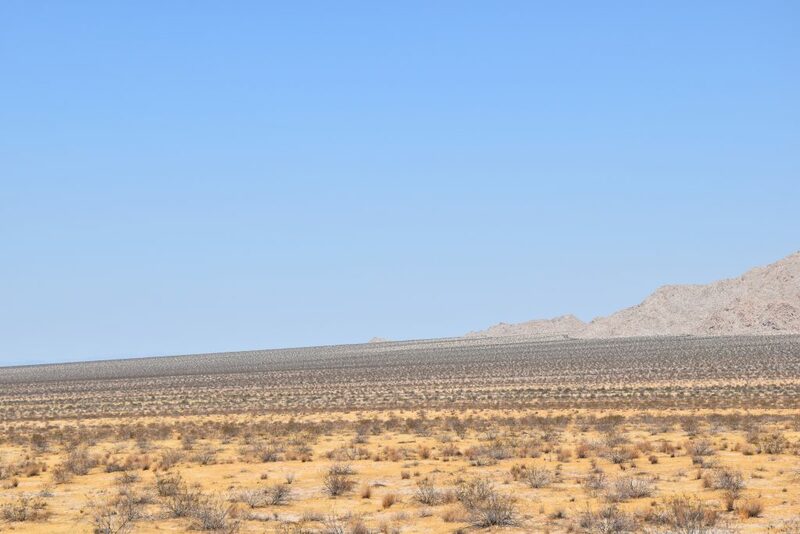 The area near Cadiz Dunes has become the center of the controversy for diminishing the Monument. 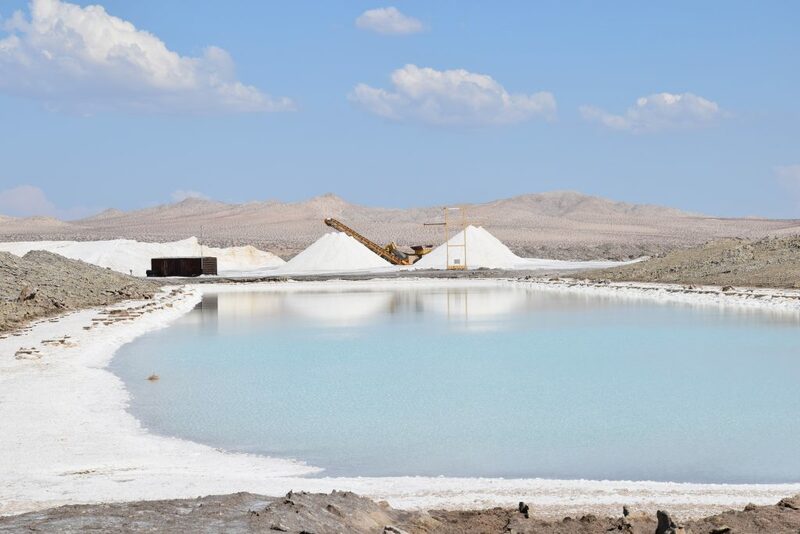 A company with private inholdings, Cadiz Inc., has proposed pumping groundwater from their inholding to cities elsewhere. 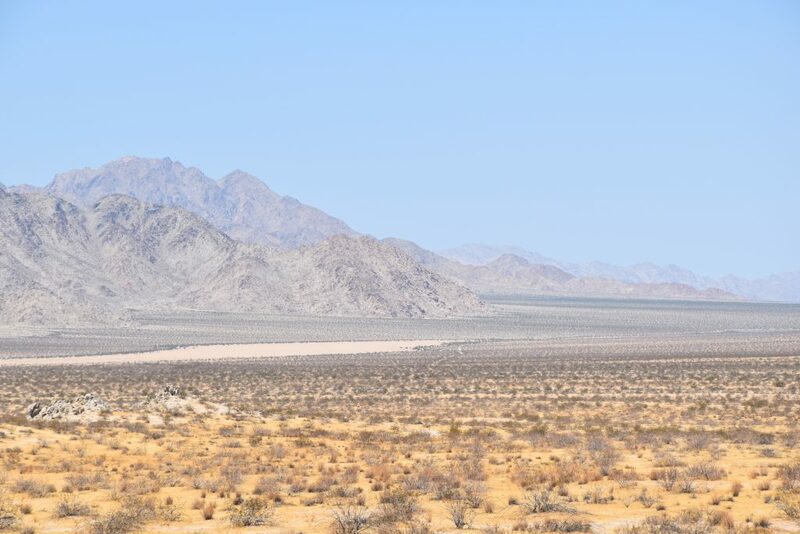 It is beyond mind boggling to imagine the efficacy of pumping groundwater from the desert to cities and it is even more crazy to imagine that the pumping would be accomplished by reducing protections for this important and spectacular part of the Mojave Desert.